Where do you set about to intervene and begin to change the organizations ability to innovate? There are seemingly so many intervention points it can get bewildering. The innovation environment can be made-up of how well you collaborate and network, the level of group and individual interactions, the presence and commitment of leadership towards innovation, as well as the organizational set-up and structures. You can explore the make-up of the innovation environment in so many ways. So what makes up the environment to innovation? It is the culture, management and its people who have a mutual dependency. 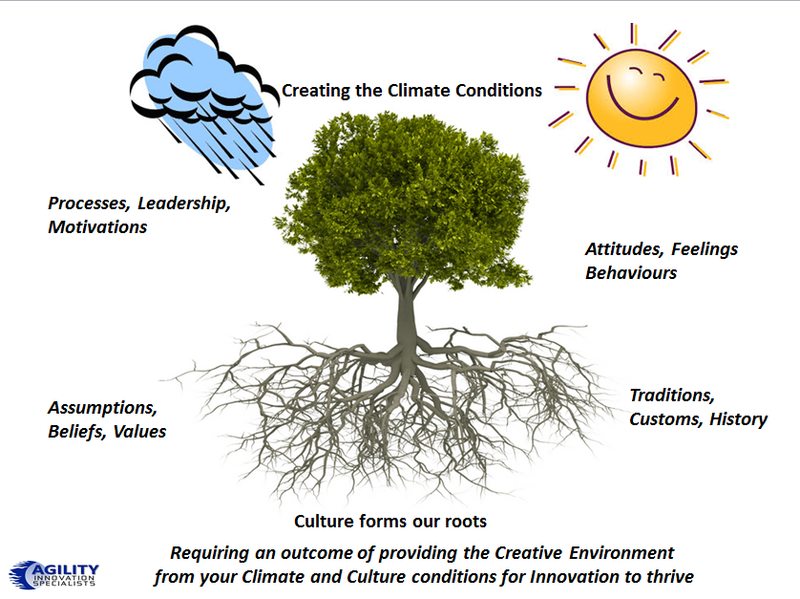 Culture can enhance or inhibit the tendencies to innovate, it certainly has a profound influence on the innovative capacity and provides the rich nutrients to nurture innovation or kill it. Culture has always been regarded as a primary determinant of innovation. Changing the workplace environment for innovation? You can’t escape the reality that having the right environment for innovation means different things to different people. What we should be all able to agree upon is that the environment for innovation houses many of the conditions that connect innovation in people’s minds. The environment needs to be connected into the vision around innovation, it needs to be translated for each of us to relate too and want to contribute into.. The environment provides the right growing conditions for your organization to foster its unique environment to prosper and grow. Deny those growing conditions and any innovation initiative is going to struggle and eventually die from the lack of the essential feeding of its roots. 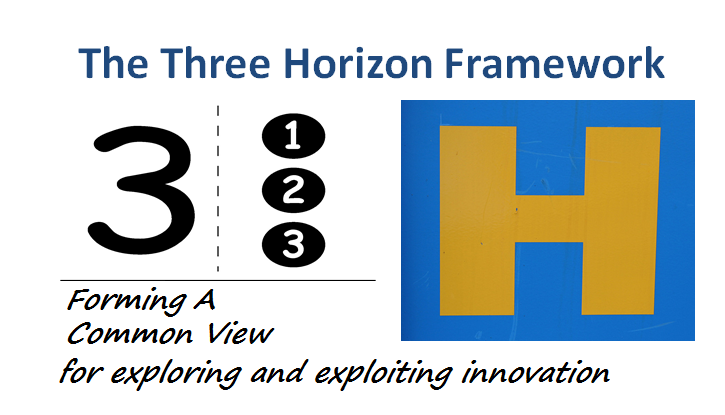 Following on from my suggested Common Language approach to the Three Horizons, I would like to outline here its significant value, within any innovation management thinking. For me, the three horizons have great value to bring together and map all the different thinking and possible innovation options over changing horizons. You can frame innovation in alternative ways by using this approach. Innovation has multiple evolution points and working with this framework allows you to significantly improve all of your innovation contributions. It goes well beyond the present value of ‘just’ fitting your existing innovation portfolio and directional management into a typical one dimensional view of just working in the present. 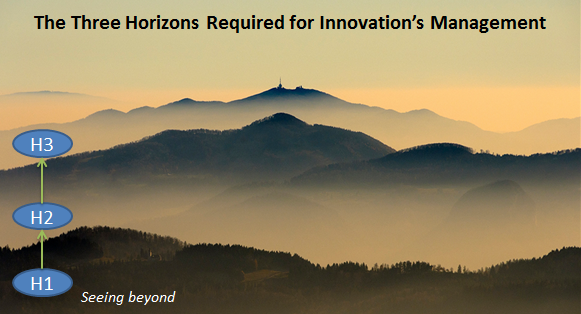 As you may know I have been writing significantly around the Three Horizons in relationship to innovation. Then I discovered the work of the International Futures Forum, based in Scotland, where a group of members have extended the 3H significantly, well beyond McK’s initial work from my perspective, into a broader, more robust methodology tackling complex problems. It was this IFF work that excited me, it opened up my thinking to find better ways to deepen the innovation connections and framing that could be suggested in the use of this three horizon frame in exploring and expanding different techniques and approaches. 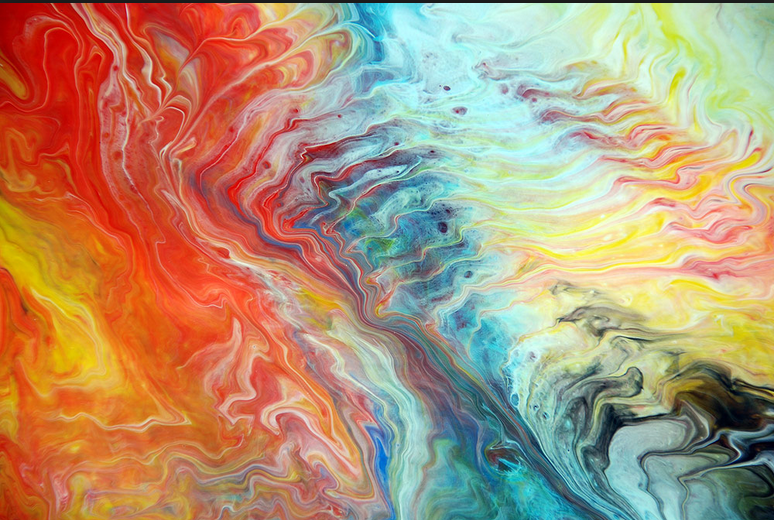 Fluidity – the growing need of organizations today. Organizations are facing increasing a dilemma in how they organize and manage within their systems and structures. They are being forced to deal in increasingly complexity and environmental turbulence and ‘adapting the appropriate response’ remains increasingly a difficult one to master, within the existing regime and structures. This allows for efficiency and effectiveness to be constantly at practice, constantly building the problem-solving processes, so as to master tasks in complex environments to resolve ‘known’ problems in ‘given’ ways. We need to become increasingly fluid but how and why?